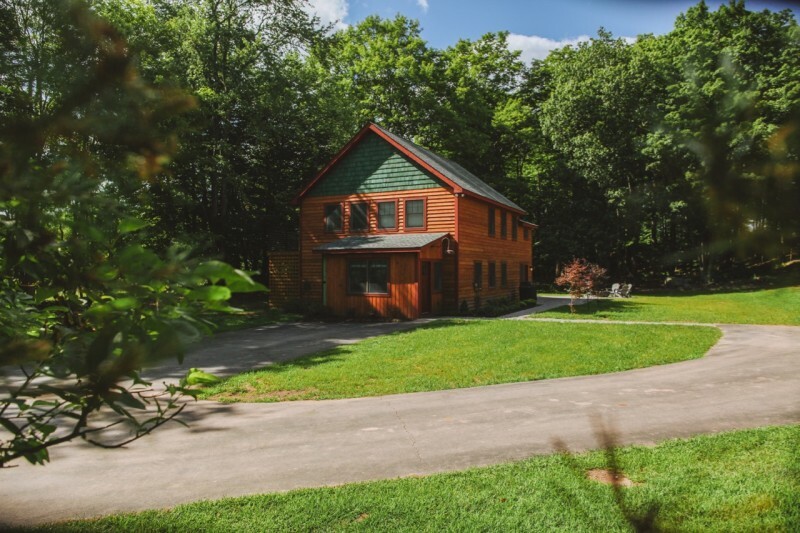 Timeless Catskills lodge: A pretty backroad leads to this delightful shingled home, set on pleasing 15 acre parcel that includes a mature woodland, and sprawling meadows ringed in stonewalls. An open plan sitting room with television flows comfortably to the chef’s kitchen, where there is plenty of counter space, and the appliances are all new as per the home’s recent makeover. Around the corner from the kitchen is a cozy dining nook with built-in banquette, perfect for family dinners, puzzles and late night chats. An upstairs deck runs outside both bedrooms, each of which have glass sliders to the to this peaceful space. Grab a rocker and listen to the birdsong or breeze through a few chapters on that book you keep meaning to finish.